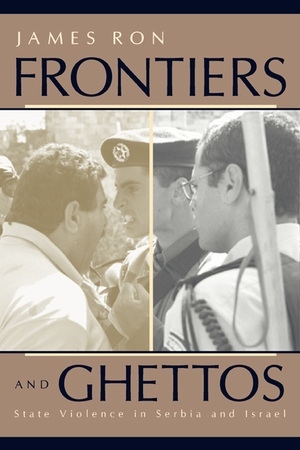 James Ron uses controversial comparisons between Serbia and Israel to present a novel theory of state violence. Formerly a research consultant to Human Rights Watch and the International Red Cross, Ron witnessed remarkably different patterns of state coercion. Frontiers and Ghettos presents an institutional approach to state violence, drawing on Ron's field research in the Middle East, Balkans, Chechnya, Turkey, and Africa, as well as dozens of rare interviews with military veterans, officials, and political activists on all sides. Studying violence from the ground up, the book develops an exciting new framework for analyzing today's nationalist wars. James Ron is the Canada Research Chair in Conflict and Human Rights in McGill University's Department of Sociology.